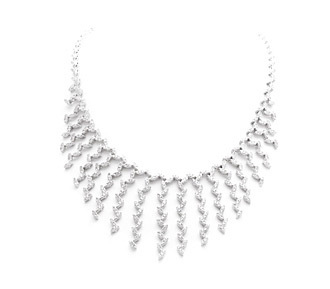 This captivating bridal jewelry diamond necklace showcases 23 graduated hanging strands of pave diamonds in a delicate leaf pattern, starting with 2 leaves and growing to 12. 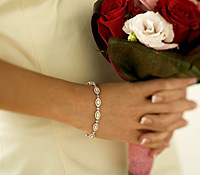 Brides who rent wedding jewelry like this are sure to catch everyone’s eye! 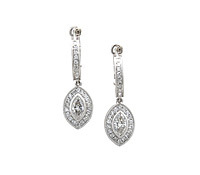 Diamonds: 6.72 TW | Gold: 14K White | Length: 17 in. | Swizzle Length: 2 in.